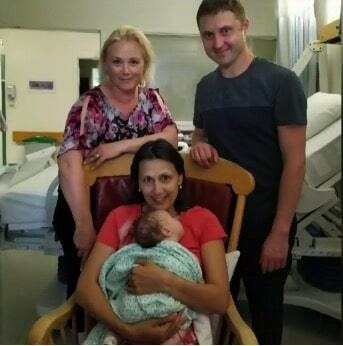 Tiny Baby, Among The World's Smallest, Almost Set To Go Home! Home » Tiny Baby, Among The World’s Smallest, Almost Set To Go Home! 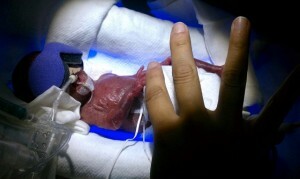 At birth, Melinda Star Guido was so tiny she could fit into the palm of her doctor’s hand, weighing a mere 9 1/2 ounces. Born at 24 weeks in late August, the little fighter is believed to be the second-smallest baby to survive in the U.S. and third smallest in the world. During her pregnancy Haydee Ibarra, Melinda’s mom suffered from pre-eclampsia, a dangerous complication that can affect both the mother and baby. She was transferred from a hospital near her San Fernando Valley home where it was revealed that there was also a problem with the placenta. The baby wasn’t getting proper nutrition, blood and oxygen. “The first few weeks, it was touch and go. None of us thought the baby was going to make it,” said Dr. Rangasamy Ramanathan, who oversees premature infants at the Los Angeles County-USC Medical Center. They also warned the couple that if she did survive babies born this tiny can have developmental delays and impairments such as blindness, deafness or cerebral palsy. “They said, ‘We’ll take the chance. Please try.’ So we said. ‘OK we’ll try,'” Ramanathan recalled. Melinda was delivered by c-section at 24 weeks and was immediately transferred to the NICU where she was placed in an isolette, hooked up to a ventilator to help her breath and fed through a feeding tube. For being so tiny Melinda’s NICU journey has been somewhat uneventful. Just a month after birth, she was treated for an eye disorder that is common in premature babies and she underwent surgery to close her PDA, an artery that usually seals after birth. She is now learning to bottle feed and only uses an oxygen tube as a precaution. Dr. Ramanathan predicts she will need to stay for at least another two-week stay, dashing her parents’ hopes of taking her home by Christmas. “It takes a lot of good care and a lot of good luck. Most of them don’t survive,” said pediatrician Dr. Edward Bell of the University of Iowa who keeps an online database of the world’s smallest surviving babies who were less than a pound at birth. Ten babies weighing less than a pound were born last year and survived. Melinda joins three other tiny survivors delivered this year in Berkeley; Seoul, South Korea; and Iowa City, Iowa. All are bigger than her, but she is not eligible to be listed until she gets discharged. Most tiny babies who survive tend to be female. That’s because female fetuses mature faster than males of the same gestational age. Having more developed lungs and other vital organs increases odds of survival. Dr. Ramanathan said it is not known how Melinda will fare when she’s older but currently she has a couple good things on her side. She did not have major complications such as bleeding in the brain and an ophthalmologist said everything looked good when he checked her eyes on Wednesday. We wish the family well. Melinda has proven to be a fighter and we’re sure that will be a spirit that will stay with her for a very long time!